Using data from the National Association of State Budget Officers, Kaeding looked at how much each governor/presidential candidate increased spending on an annual basis in his state. “Analyzing the data on an annual basis allows us to control for the length of governor tenure,” she notes. 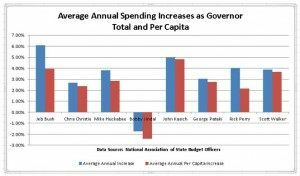 Additionally, by examining annual average spending growth on a per capita basis – which allows for less biased comparison since the population of each state grows at different rates – Kaeding observes, for example, that the spending hike of Gov. Jeb Bush in Florida is above average while that of Gov. Rick Perry of Texas falls below the average increase. Earning report card grades of “A” in 2010 and “B” in both 2012 and 2014, Jindal cut government dramatically – by 9 percent – in his state since fiscal year 2009. 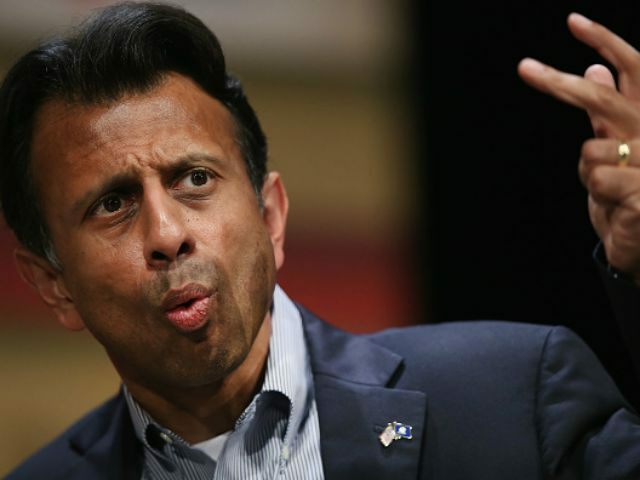 Cato credits Jindal with reducing spending by cutting the state’s workforce by 26 percent since he has been governor, and through both significant pension reforms and cuts to higher education spending. Moving on to Bush, Kaeding notes that while the former Florida governor received a “B” grade in 2000, and rose to an “A” grade in 2002, his performance deteriorated in future years, as shown by a drop to a “B” in 2004 and then to a “C” in 2006. Bush, according to Cato, was “a prolific tax cutter,” but allowed spending to run away quickly during his second term. “Like George W. Bush, Jeb was good on taxes, but apparently not so good on spending,” writes Kaeding. 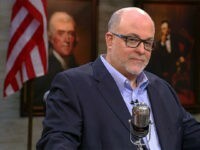 The Cato report refers to Gov. John Kasich of Ohio as “an outlier,” since he increased spending faster on a per capita basis, which gives credence to the charge that he lacks fiscal restraint. John Kasich of Ohio received a “B” in his first report card. In 2014 his grade fell to a “D,” and that tied him as the worst Republican governor on fiscal policy in the country. Kasich supported huge spending hikes. Spending increased 18 percent from 2012 to 2015, according to the National Association of State Budget Officers, and he expanded Medicaid over objections from the legislature. He requested another 11 percent increase for fiscal year 2016. During the GOP debate last Thursday, Kasich defended his expansion of Medicaid by stating it has benefited mentally ill prison inmates. While Perry achieved a grade of “B” on five of six of his Cato “report cards,” spending grew under his tenure, though Kaeding acknowledges a significant amount of that was due to population growth and inflation. Former Gov. George Pataki of New York, Kaeding writes, eventually dropped to a “D” on his report card due to his support for large spending and tax increases. Former Arkansas Gov. Mike Huckabee fell from a “B” to an “F” grade due to his doubling of state spending and new tax increases totaling $500 million. Though Huckabee began his tenure with a $70 million package of income tax cuts and a big cut to his state’s capital gains tax, he “changed direction,” notes Kaeding, and used the Arkansas tobacco settlement funds to expand Medicaid. A large bond effort to allow for higher spending for infrastructure also came at great cost to the state. By the end of Huckabee’s tenure, Cato notes that general fund spending in his state had increased by 54 percent, and total state spending had risen by 94 percent. While Gov. Scott Walker of Wisconsin enacted a hefty tax cut and labor union reforms, spending grew in his state under his tenure faster than the national average, Kaeding notes. Wisconsin’s total income tax rate of 7.65 percent is still one of the highest in the country, and its Business Tax Climate is a discouraging 43rd in the nation, according to the Tax Foundation. Christie has vetoed personal income tax increases five times in six years, including just last week. 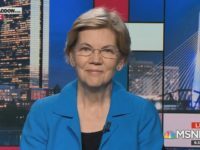 The 2015 version of the tax increase would have raised the top personal income tax bracket from 8.97 percent to 10.75 percent on income over $1 million. It was coupled with a 15 percent surcharge on corporate income taxes. Together, these two tax increases would have raised $1.1 billion, an enormous tax hike. Pushing against the Democrats in his state legislature, Christie has tried to lower taxes on New Jersey residents. In 2012, he proposed a 10 percent cut to personal income taxes. He also has signed into law some business tax cuts, including an energy tax cut in 2011, and has reformed the state’s pension system. Nevertheless, Cato reports that the governor pressed to increase the state’s Earned Income Tax Credit from 20 percent to 30 percent. His support for economic development and some poor tax policies has contributed to the fact that New Jersey’s budget during his tenure grew 15 percent from 2011 to 2015.